The JT100 is the only drill in its class that enables the transfer of drill pipe from one box to another and add or remove the upper pipe box without additional support equipment, so the pipe box is never empty. Powered by 260-hp (194-kW) Cummins engines, the two drills supply raw power to all machine functions to install pipe and other underground utilities faster and more efficiently than before, reducing downtime on the job so operators can keep drilling and remain profitable. With 100,000 pounds of pullback and 12,000 ft-lb of torque, the JT100 is the ideal partner for challenging and long bores, such as river crossings, and installation of large-diameter pipe. Beyond power, the new designs aid operators in meeting difficult requirements whether drilling in open, rural settings, or in more densely packed urban environments. The JT100 also features improvements in noise abatement, running productively and quietly in residential and other urban areas. Dual-pivot drill frames allow for steeper angles of entry without having to raise tracks off of the ground, which provides improved machine stability and overall operator comfort. Reducing operating costs are top-of-mind for today’s contractors. The heavy-duty anchor systems on the drills eliminate the need for large and expensive supporting equipment, reducing overall project costs and setup time, regardless of the size of the project. A fully enclosed, tinted window cab features instrument panel gauges that are specifically positioned for increased onsite visibility and operator convenience. Full-colour LCD displays provide operators with simple and critical information on engine diagnostics and machine performance. 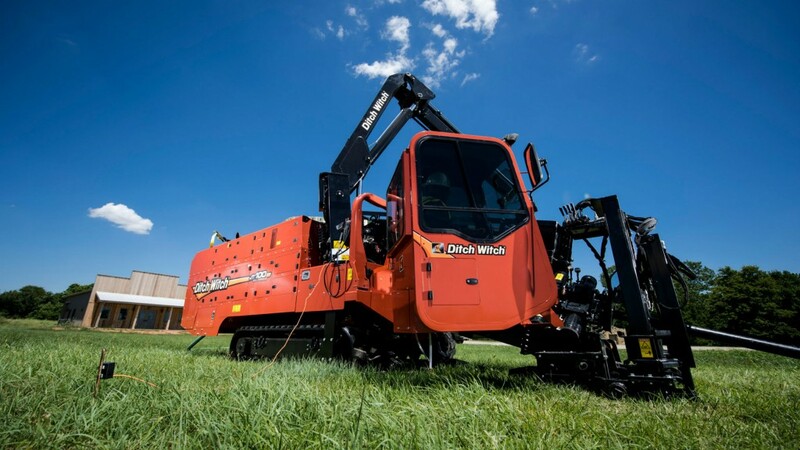 Upgrades to the JT100 and JT100 All Terrain drills provide the job site solutions to drill faster and more effectively, while reducing emissions.